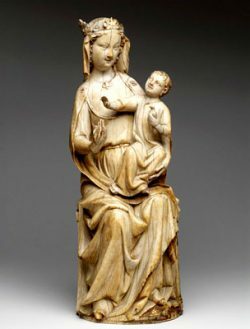 Statuette of the Virgin and Child. French, 1275-1300. Courtesy of the British Museum. 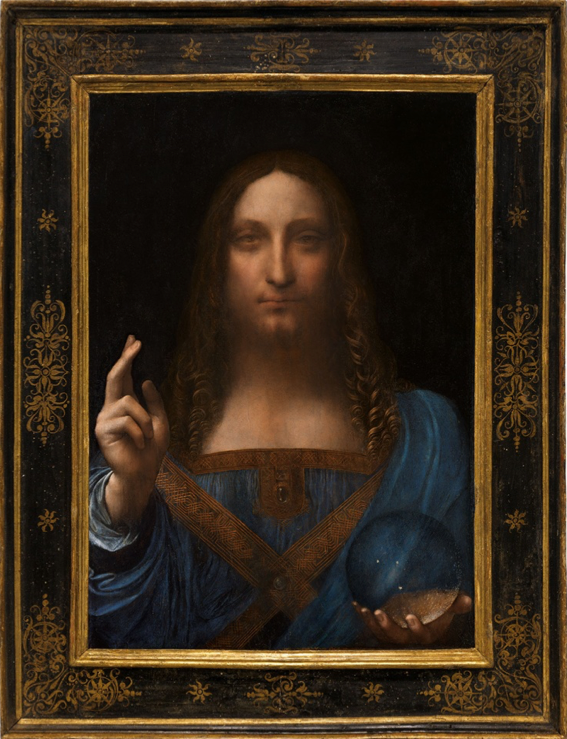 Leonardo Da Vinci, Salvator Mundi (1506). Courtesy of Christie’s. 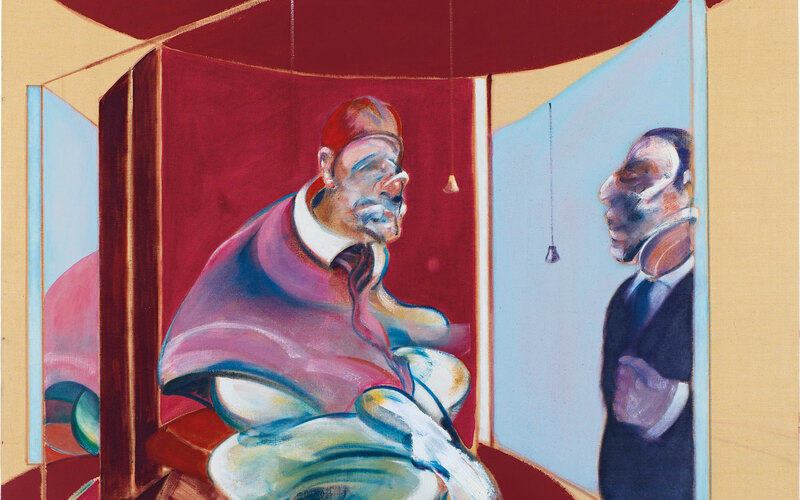 Francis Bacon, Study of a Red Pope 1962, 2nd version 1971. Courtesy of Christie’s. 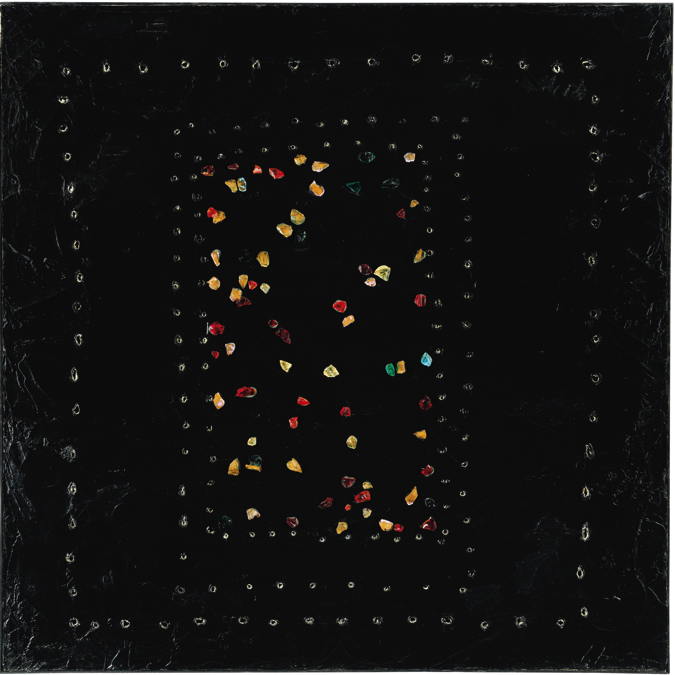 Lucio Fontana, Concetto Spaziale, In piazza San Marco di notte con Teresita (1961). Image courtesy of Christie’s.